To promote Home Stay, the existing room limit will be increased from 3 to 4. Heli Taxi services to be launched to connect more towns of the state. Efforts to establish an international airport in the state. Shimla: Tourism industry has a tremendous scope for growth in Himachal Pradesh. There is good potential for generating employment and income opportunities in this sector. The State Government will prepare a new tourism policy for the holistic development of tourism in the State. 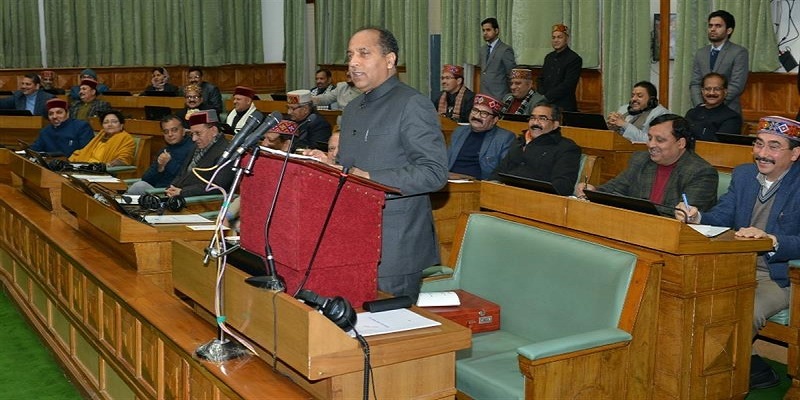 Chief Minister Jai Ram Thakur stated this while presenting the state budget for the financial year 2019-20. He said Himachal has immense Eco-Tourism potential. Therefore, to encourage Eco-Tourism, experts will be consulted to prepare a Master Plan, wherein provisions for encouraging private investors will be incorporated. “Pong Area Development Board” will be constituted for the integrated and planned development of the area. This Board shall draw up policies and plans to promote tourism and culture in the area, and also helpgenerate employment opportunities, he added. Currently, there are approximately 1,300 home stay units in the state. Not only do such home stays promote tourism, they also provide respectable employment opportunities to young genaration. To promote home stays, State Government will increase the limit of rooms for home stays from 3 to 4. Jai Ram Thakur said the Tourism Department will provide assistance to all such home stay owners who wish come on a common booking platform. Arrangements will also be made to train the home stay owners on all aspects of the scheme. CM said a “Shiv Dham” in Mandi district will be established with the dual objectives of promoting tourism and conserving religious heritage of the state. Replicas of 12 Jyotirlingas will be established at this site to attract tourists. Thakur also announced a “Light and Sound Show” at two sites in Shimla will be started soon. Endeavours are on to start another one in Kullu district, which will project the Dev Sanskriti of the state. This will encourage more tourists to visit the State and to learn about the local culture, he added. Efforts will be made to connect more towns with Heli Taxi services. “I propose to connect the 3 airports of the State with one Helipad each in Mandi, Kullu and Solan districts and three helipads of Shimla district under Regional Connectivity Scheme (RCS) – Udaan-II. In addition, it is also proposed to start Heli-Taxi services from Chandigarh to Shimla, Shimla to Kullu and Shimla to Dharamshala during 2019-20. It will be our Government’s endeavour to ensure each Legislative Assembly Constituency has at least one helipad. 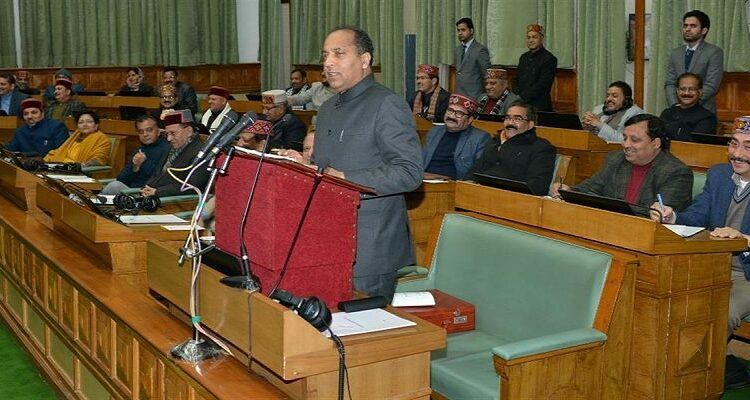 This will be achieved in a phased manner,” said Jai Ram Thakur. Chief Minister proposed to start the restoration of Bantony Castle in Shimla, Aarti on the banks of river Beas in Mandi on the pattern of the Aarti performed in Varanasi, and construction of a cultural centre in Janjhehli during 2019-20. Tattapani is also proposed to be developed and promoted as a religious tourism and water sports destination. The world heritage sites like the Great Himalayan National Park, and Ramsar Sites of Pong Dam, Renuka Ji and Chandertaal are famous for wild life and biodiversity in the Western Himalayas. Himachal government will develop attractive and informative facilitation centres in these places to attract more international and national tourists. Chief Minsiter said Himachal government has also sent a proposal to the Union government for starting water transport and otheractivities in Chamera, Kol Dam, Larji and Gobindsagar Lake.This will not only promote water transport and water sports inthe State, but also create employment opportunities for the local youth. 3,000 youth will be trained in various tourism related activities during 2019-20. Government is making efforts to establish an international airport in the State. Nagchala in Mandi district has been found to be a suitable site for construction of suchan international level airport. The Obstacle Limitation Survey for this site has been completed.